Expectations move at the speed of the consumer. They never diminish; they only increase, and they increase all the time. Over the past decade, consumer expectations have increased about 18% a year. Brands, on average, only manage to keep up by about 9%, so there’s always a pretty significant gap between what consumers expect and what brands deliver. Brands that deliver best are always the category leaders. Accompanying those increased expectations are category value shifts. And when value shifts reach critical mass – the marketing version of astronomical accretion takes place – instead of planets, new categories are formed. When that happens brands have to decide who they are, and whether, and where, they’re going to “live” – in the newly created category or in their old category. Think about how fast food – you remember, basic inexpensive burgers, fries, soft drinks, and hot apple pies – and the Holy Trinity of Fast Food: salt, fat, and sugar lived contentedly in Fast Food land. Those brands watched as parts of their neighborhood gentrified into the Customization Community, Health-Conscious Heights, Gluten-Free Gulch, Casual City, its suburb, Fast-Casual County, Salad Street, and Anti-Antibiotic Avenue. Then some of the fast food brands tried to move into all those neighborhoods. The leader of that emigration was McDonald’s – a brand recently using customization and kale to help determine where they were going to end up living. They were quickly followed by some of the other then-leading traditional fast food brands, like the currently we’re-more-natural Wendy’s, and younger brands like Chick-fil-A. Burger King was one of the traditional fast food brands. They yearned to move into other higher-end neighborhoods too. It took a few years of unsuccessful moves involving overstuffed menus, apple cranberry salads, wraps, “healthy” potatoes (http://tinyurl.com/je2whru) and forays into areas like smoothies and flavored coffees and lattes, to convince them to move back to their old neighborhood in Fast Food land, where consumers’ expectations-based zoning regulations actually encouraged flame-grilled burgers, fries, and (now) hot dogs, eschewing any high-end, low-calorie modifications to the brand. Smart move? Well, when we looked at the Fast Food category in our 2016 Customer Loyalty Engagement Index, we saw a couple of notable shifts. The list of Fast Food brands had gotten longer, and the names consumers had added were those of, well, basic, last-century fast food brands. An expanded list of brands is something that only happens when consumers are looking for something to fill that gap between what they really want and what current brands are delivering. So while the addition of more, basic fast food brands to that decision set – including Jack in the Box, In-N-Out Burger, Whataburger, and Carl’s, Jr. (see a pattern here?) 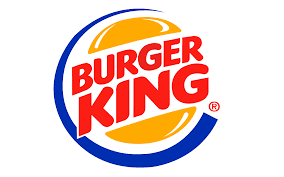 – may not make competing any easier for the rest of the brands, it’s a pretty good roadmap as to the best place for a brand like Burger King to live. Are Tough Times Turning Around for Teen Retailers? No denying it’s been tough for retailers over the past couple of years. Particularly for the stores specializing in the teen retail segment. Increase in mobile retail has had a lot to do with that, which has resulted in/from declines in mall traffic. Compound that with cyclical fashion trends and an increasing desire by teens to customize everything, including personal looks. Particularly for the once-logo-leading looks. Those have fallen out of favor with teens and it’s showing up in our Customer Loyalty Engagement Index and on the brands’ bottom lines. The CLEI brand lists we assess aren’t pre-determined. Consumers tell Brand Keys researchers which brands they actually use and brands must be mentioned enough times to provide a statistically generalizable sample. But it’s more than just statistics. When consumers mention new brands at significant levels, it’s an indicator that current options are not meeting their needs or, more precisely, their expectations. And when one brand isn’t able to meet those ever-increasing expectations, especially teen expectations, consumers look to other brands to do it for them. Brands that do, end up higher on our list. Brands that don’t, end up in Chapter 11. For retail shoppers – of all ages – it’s the emotional side of the purchase equation that brands need to concentrate on if they want to meet shopper expectations. Today the rational stuff is easy, but if a retailer relies on that alone, profitability will continue to become far more difficult to attain. Particularly among teens who are out there looking for a personal style, not another logo. Fast-fashion brands like H&M showed up on our lists a few years ago. Brands like Forever 21, Anthropologie, and Express have shown up only recently. Brands like T.J. Maxx – able to offer cheap-chic options – are the ones that have been doing better than traditional, established brands like Abercrombie & Fitch. He was right. Particularly as it applies to teens. According to our 2016 Customer Loyalty Engagement Index, “Overall Value” (along with related rates and extra charges) is the 3rd most-important engagement and loyalty driver in the airline category. Yes, the prices are (or shortly will be) really low, but the benefits will be totally no-frills. To be clear, not “economy,” but “no frills, a flight known as a “bare-fare,” meaning all the non-essential features have (or shortly will be) removed. So you won’t be able to select a seat in advance of your flight. You board last. Baggage fees will be different, i.e., higher, and you might have to pay for carry-ons. No snacks, no free drinks, no mileage points, no exchanges or refunds – ever. And (ha! ), no upgrades! How are you feeling about those low-cost fares now? Coincidence that all the budget airlines are at the bottom of the engagement and loyalty list? We don’t think so. But the next time you’re looking to make an airline reservation we recommend some common sense. It was political activist, revolutionary, and, apparently, marketer, Thomas Paine in fact, who wrote, “what we obtain too cheap, we esteem too lightly."